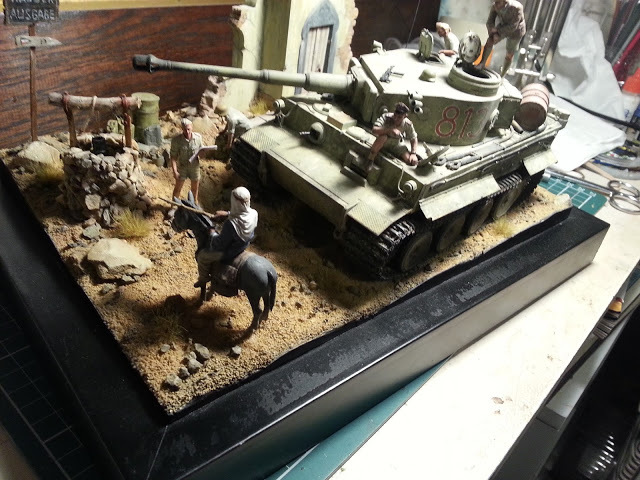 Last night I was busy still trying to fix the base of my Tiger in Tunisia diorama. It is a pain in the arse. I spent an hour painstakingly picking off the black finish with a sharp scalpel. Not fun. 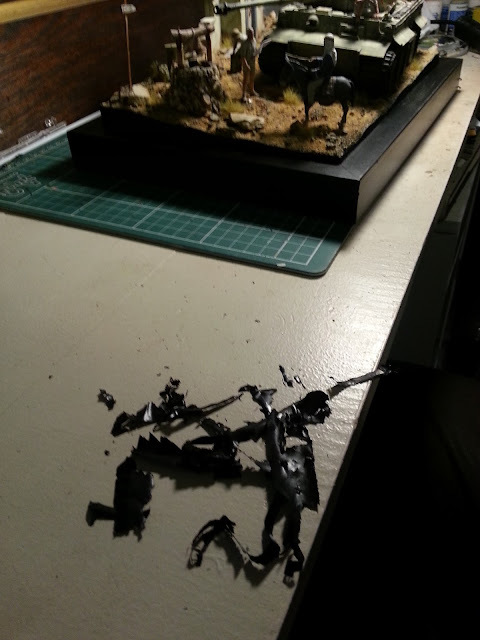 The problem occurred when I first built the groundwork of the diorama. I bought a nice, matt-finish black frame, and then applied masking tape to the top surface so that paint and plaster wouldn't ruin it. And when I peeled it off, it was fine on the sides and on the back. 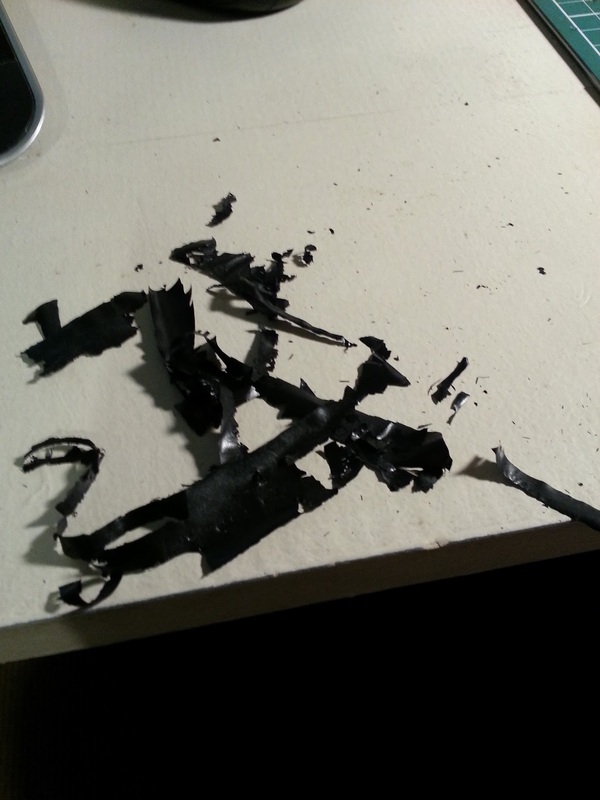 But at the front, the most obvious bit, the tape took some of the black coating with it. I tried spraying the whole thing in some (fairly thick) layers of black spraypaint, but the nasty bits were still obvious. 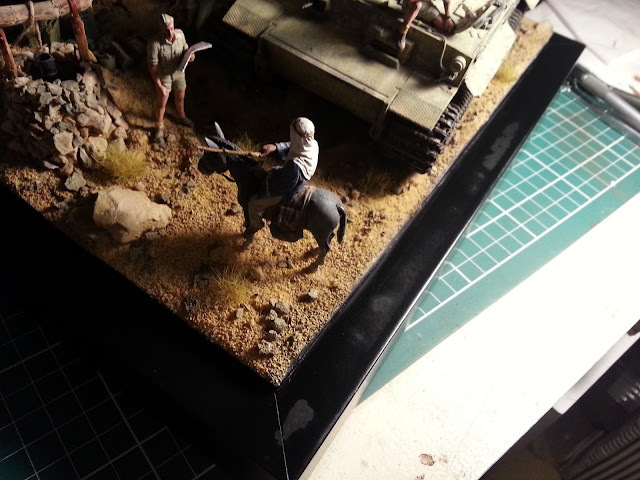 So tonight I will re-spray the matt black, I'll reassess again, and see what I can do next.